I aged out of foster care in 1986. I was 17, and I’d spent nearly five years in foster care before heading off to college. I went on to complete my bachelor’s degree in English, and the ending of college was something of a shock for me. College had provided a continuation of some of the structure I was familiar with, but when everyone else went back to their respective homes after graduation, I attempted to build a life for myself with no family to fall back on. I’d already struggled with depression and an eating disorder in college, and everything intensified in the first year out of school. I became suicidal during that time, and a year after graduation, I entered a treatment program for eating disorders, where I became immersed in the 12-step program model. That was one of the early structural supports that helped me to find a way to nurture my mental and physical health and through which to find community connection. My new friends in “program” were authentic, and I had a place where I could regularly go to process my inner world and find practical tools for learning to take care of myself. Part of what I needed to work through was the impact of having a mother who was paranoid schizophrenic and who relied on prostitution to feed and care for herself and me. She was a single parent, and by the time I was 12, we had spent more than six months homeless. When I was 12, my mother had come to view me as essentially an adult, and she turned me out of the house to get food and money. I went door-to-door in our neighborhood, asking for whatever people could give. Sometimes they helped, and sometimes they slammed doors in my face. Ultimately, members of a neighborhood church became aware that she was physically abusing me, and they intervened. I went into the first of two foster homes in the fall of 1981. I’m 49 years old now. I’m happily married and have an 11-year-old son of my own. It has been a long path to healing, and one I’ve actively sought out my entire life. I’ve met more people than I can count who have helped me materially, spiritually and emotionally. I’ve used writing both professionally and personally to help find my way, writing in many personal journals and then a memoir, The Wilderness of Motherhood, where I tell some of my story and all the things I tried to heal my body and my mind. A partial list includes therapy, 12-step groups, yoga, meditation, nature, cultivating community, and changing my eating habits to eliminate foods that contributed to inflammation and emotional instability. Over time, persistently moving toward the light has led me to tools that have given me some peace with the past and the ability to be present to and love the people and good things in my life. I’ve needed to learn to see how much was right in my life, rather than how much was wrong. It was not an easy lesson, but it has been a very important one. The deep wound that came from having a psychotic mother is something I will feel my whole life, though it’s no longer a raw, gaping wound. For that, I am deeply grateful. 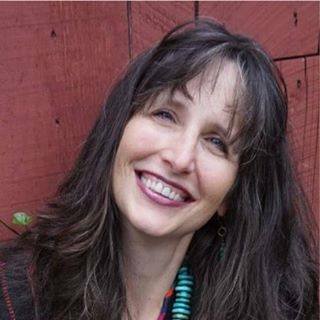 I live in Andover, Massachusetts and currently work as a yoga instructor, meditation instructor and wellness coach. I write when I can. When I have the opportunity, I look for ways to give back to those who are coming up behind from foster care. It can be a brutally difficult task just to survive, and I have skills I’ve learned over the years that I share when and where I can.